Get Taxi…. Just In Time. This is what we want to ensure for you. We want to make sure that whenever you need the taxi service this Christmas season, you will get the taxi service in shortest span of time. This is made possible by Sai Tour and Travels using our 24*7 taxi service. We make sure that during this party season, you need not to be worry about finding a reliable taxi service on time. Sai Tour and Travels is one of the leading taxi service in Chandigarh and nearby places like Panchkula, Mohali and Kharar. 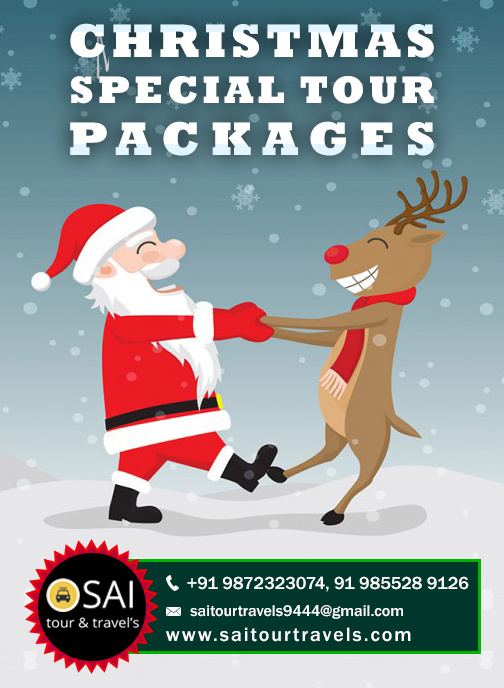 The Sai Tour and Travels is offering its esteemed customers a minimum of 20% discount on every ride during this Christmas and New Year week. Sai Tour and Travels are going to be beneficial for everyone, especially for drunken revelers, so that they can reach home from the party venue safely and conveniently. We want to make it easier to make the right choice to leave the car behind if you have enjoyed a lot and more drunken. So next time, when you are planning to throw a party, or are going to enjoy a party, then be safe and opt our taxi service for safe and convenient ride from your location to your destination. Be safe……. For your loved ones!!! !